Additional images and information on Scotland`s Hills & Mountains can be found on Clydeside Images.com - use the blog`s search box or click the `Hills & Mountains` fly-out label on the right-hand side of the blog page. To search my Stock Photography Archive Click Here. Mither Tap from the south near Monymusk. 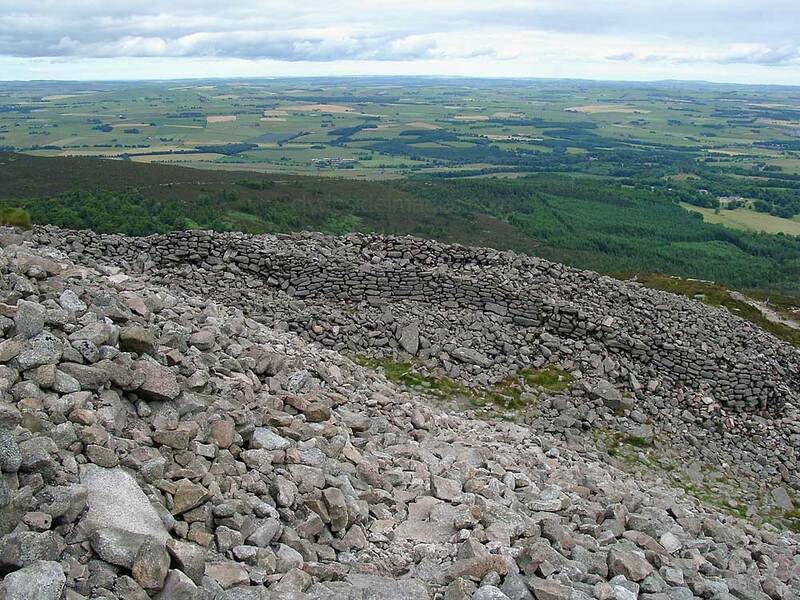 ​This iconic hill, visible from a large part of northeast Scotland, ranks as one of the best known landmarks in Aberdeenshire. It dominates the flat agricultural land of Garioch and Buchan and is a welcome sight for North Sea fishermen returning home to Aberdeen and neighbouring East Coast fishing ports after a long trip. 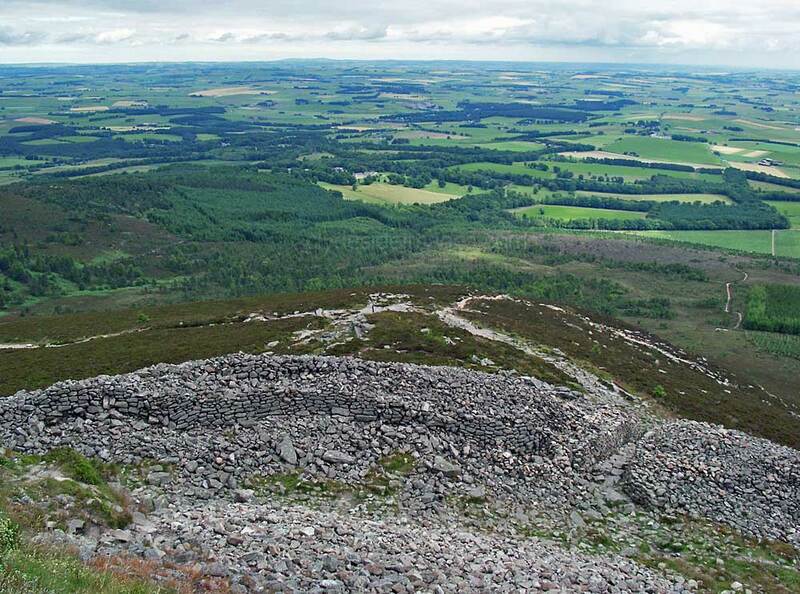 Rather than a single peak, Bennachie is a ridge, approx 5 km in length, with the high point being Oxen Craig at its west end. 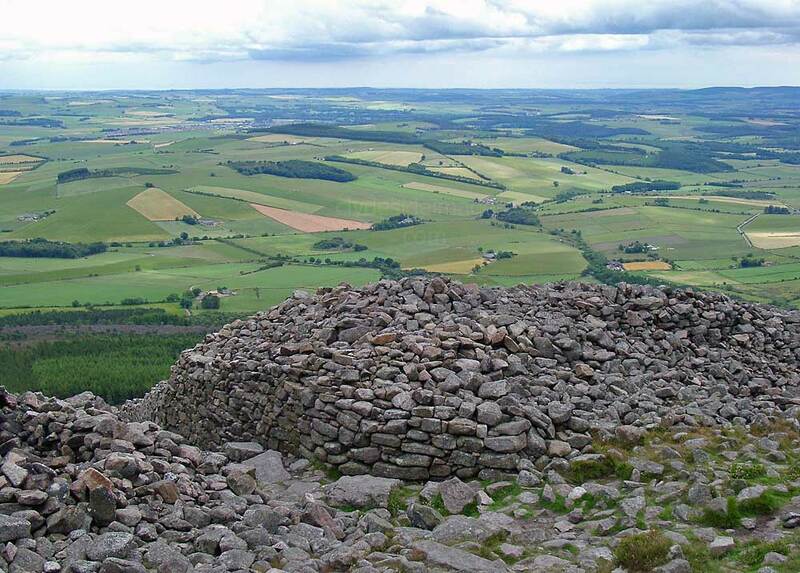 Although slightly lower, Mither Tap to the east is most-visited as this is the location of a surprisingly well-preserved ​Iron Age fort, although to reach it requires a great deal more effort than most of the other prehistoric monuments in Scotland. 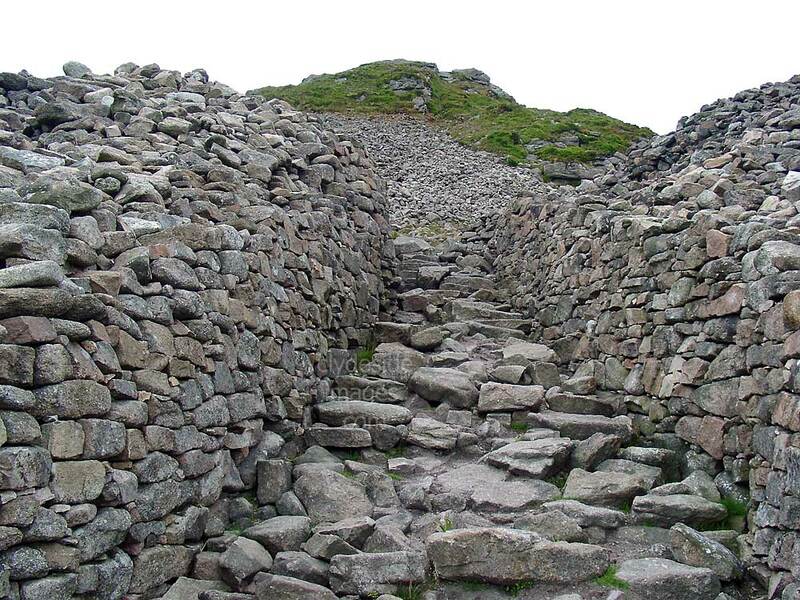 The fort`s construction would have obviously been a major undertaking as the surviving circular section of wall would have originally surrounded the summit to provide a sizeable refuge for the local population. The walls on either side of the stone walkway are approximately 15 feet thick. 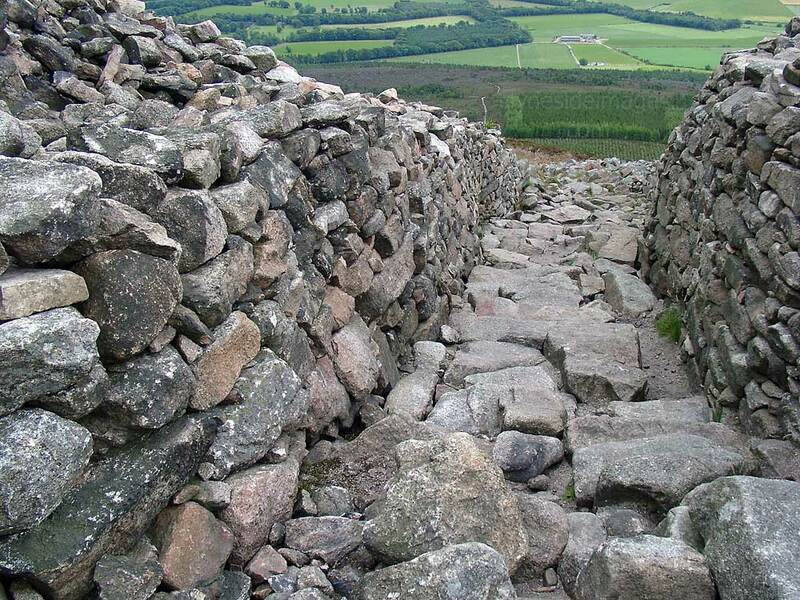 The stronghold is thought to have been built between AD400-900 by the Picts and a considerable portion remains, despite the passage of time and many stones being plundered by farmers for wall building. 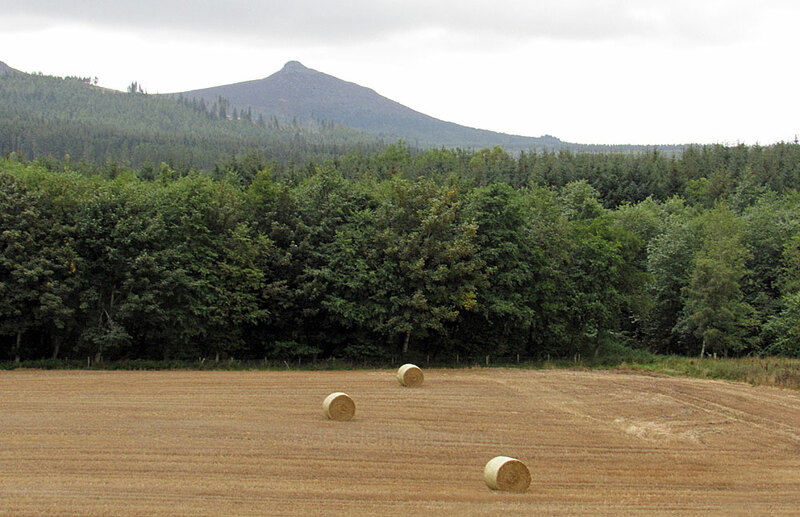 ​I climbed this hill from the Back o` Bennachie forestry car park to the north although there are several other avenues of approach. Chaotic scenes greeted me at the fort with a large party of young school kids running riot, clambering over the ruins, apparently reenacting a battle between the Picts and Romans!